Home WWE Total Divas Which Celebrity Loves 'Total Divas'? Which Celebrity Loves ‘Total Divas’? Viewers across the US have fallen in love with E!’s new reality show Total Divas — and it seems celebrities are not immune to its charm either! 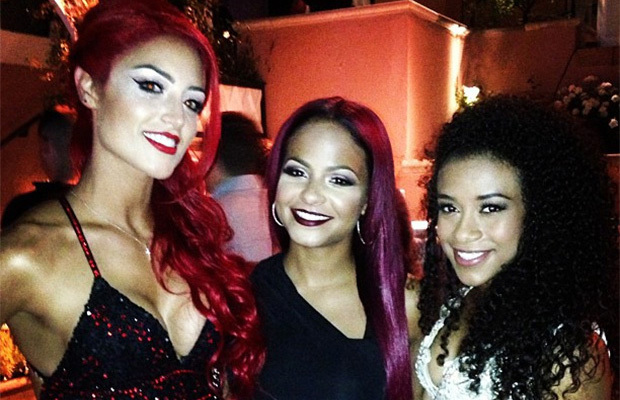 Singer and The Voice social media correspondent Christina Milian declared her love for the reality show after meeting newbie Divas Eva Marie and JoJo at last night’s SummerSlam kick-off party in Los Angeles. The Dip It Low singer clearly has great taste in reality TV!